TAIPEI (Taiwan News) -- One lucky customer who purchased a bottle of mineral water at the Fuxiang branch of the FamilyMart convenience chain (全家便利商店) in New Taipei and ended up winning the Taiwan receipt lottery Special Prize of NT$10 million (US$329,600), the convenience store chain announced yesterday. 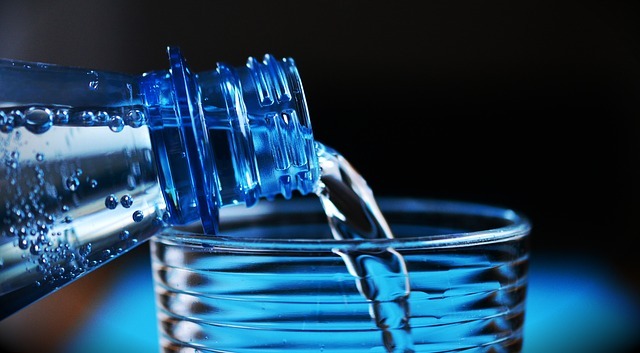 The customer who struck it rich buying bottled water was among four winners of the Special Prize this time around for the number 99768846, while three won the Grand Prize of NT$2 million for the number 83660478. A second FamilyMart winner was a customer who purchased a hearty meal consisting of two bowls of cold noodles and four tea eggs for NT$148 at it's Fushun branch, also in Zhonghe, according to the company. The two other winners of the Special Prize were both customers of 7-Eleven (統一超商). One was a customer who made a purchase of NT$35 and the other was a patron who spent NT$35. FamilyMart reported two winners of the NT$2 million Grand Prize: one who bought two bottles of sparkling mineral water at its Dongfang store for NT$87, and the other who purchased six packs of chewing gum at its Longshan shop in Hsinchu for NT$57. The third Grand Prize winner was a customer who made a purchase of NT$28 at a 7-Eleven in Kaohsiung's Fengshan District. 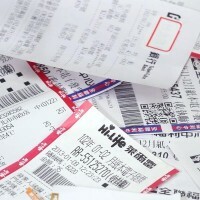 The winning numbers for the First Prize of NT$200,000 are 70628612, 87596250, and 97294175 (matching all the digits from any of the three numbers). 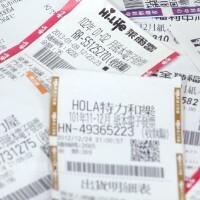 The Second Prize (NT$40,000), Third Prize (NT$10,000), Fourth Prize (NT$4,000), Fifth Prize (NT$1,000), and Sixth Prize (NT$200) are all based on the First Prize winning numbers, with the Second Prize for matching the last seven digits from any of the first prize winning numbers, the Third Prize for matching the last six digits, and so forth. The easiest prize to win, of course, is the NT$200 Sixth Prize for matching only the last three digits from any of the first prize winning numbers. To increase chances of winning, one number was added as the Additional Sixth Prize for this issue—904. The Additional Sixth Prize (NT$200) is won by matching the last three digits of a uniform invoice with the additional winning number. 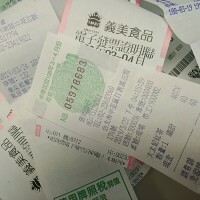 In order to receive the prize money of this issue, a winner must fill out the form on the back of the uniform invoice and present it with his or her ID card at any post office from August 6, 2017 to November 5, 2017, the MOF said.The uniform-invoice lottery, better known as the Taiwan receipt lottery, is a form of state lottery managed by the MOF. The lottery, designed to boost tax revenues, was introduced on Jan. 1, 1951. The lottery has successfully encouraged locals to obtain receipts for every purchase made with businesses with a certain amount of monthly turnover.